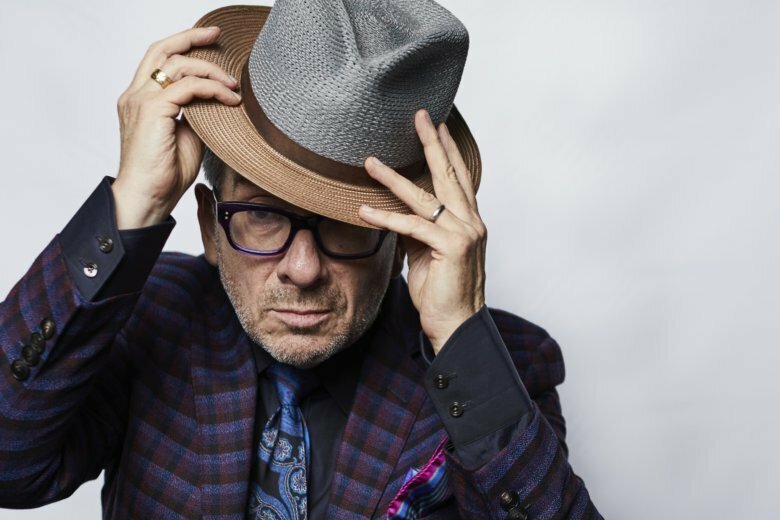 NEW YORK (AP) — Besides the fact that he’s still here, Elvis Costello’s fans can be grateful that he’s open to changing his mind. While something short of a vow, Costello said in 2010 that he didn’t plan to record anymore. Yet on Friday, he releases “Look Now,” his second disc since that declaration. The lush showcase for his backing band, the Imposters, is musically inspired by Dusty Springfield’s “Dusty in Memphis” and has a renewed collaboration with Burt Bacharach at its heart. Thus began his “impresario years.” He’s had a handful of themed concert tours, including one focusing on the period around his “Imperial Bedroom” album and another accompanied by a game show-like “spinning songbook” that determined the evening’s set list. He didn’t stop writing, however, much of it aimed toward theater. He and the 90-year-old Bacharach, with whom he made the 1998 record, “Painted From Memory,” are working on a stage show. The work on “Look Now” is ballad-heavy and lightly soulful, with plenty of space for the rhythm section of Thomas and Davey Faragher, the keyboards of Steve Nieve, orchestration and backing vocals. This was his original idea for a follow-up to “Painted From Memory” years ago, although Costello didn’t get to it. He said it benefits from the extra time and experience. Another highlight is “Unwanted Number,” a song he wrote for the female band For Real in the 1990s, about a woman deciding to raise a child born from a youthful relationship. He subtly rewrites the song to deemphasize the childhood abuse she suffered at the hands of her father and put more focus on her choice to raise the baby.